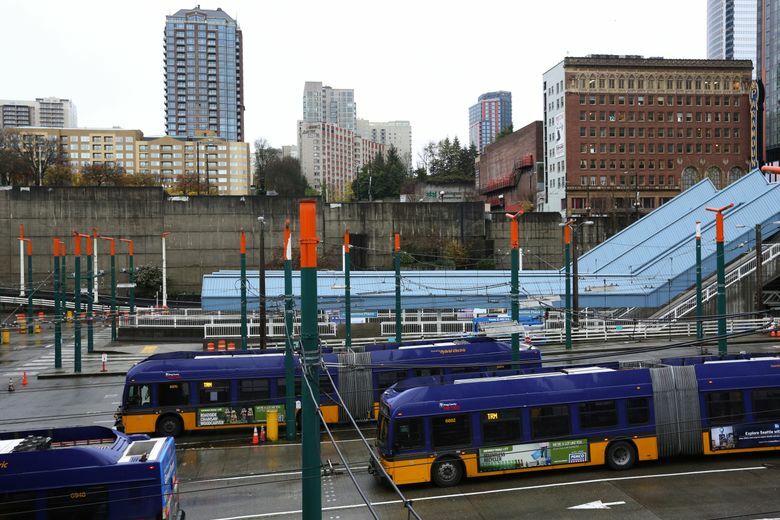 King County Metro has reached a tentative deal to sell a downtown bus station for $161 million to the Washington State Convention Center, for its massive expansion project. Metro’s Convention Place Station, at the north end of the downtown Seattle transit tunnel, would likely close Sept. 30, 2018. 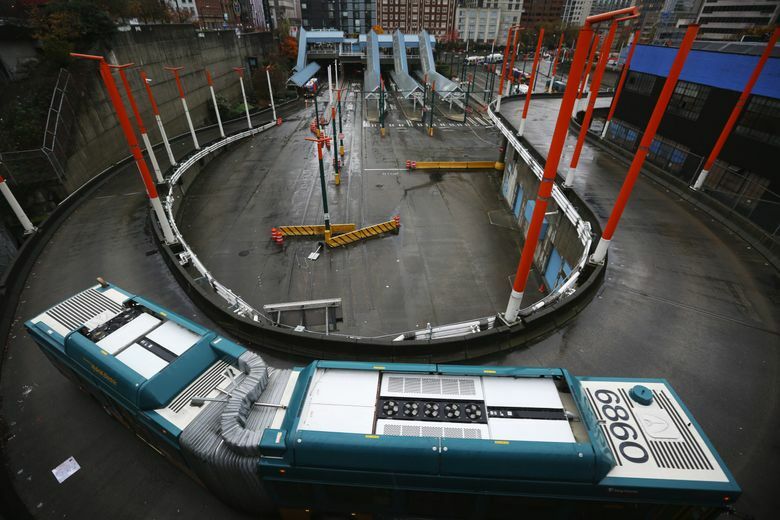 The expansion includes an 8-acre exhibit hall with loading docks at or below surface, where buses now meet passengers or stop for layovers between trips. That would push six Metro routes and Sound Transit’s 550 Bellevue-Seattle line onto surface streets, where local governments are negotiating possible bus-lane additions. 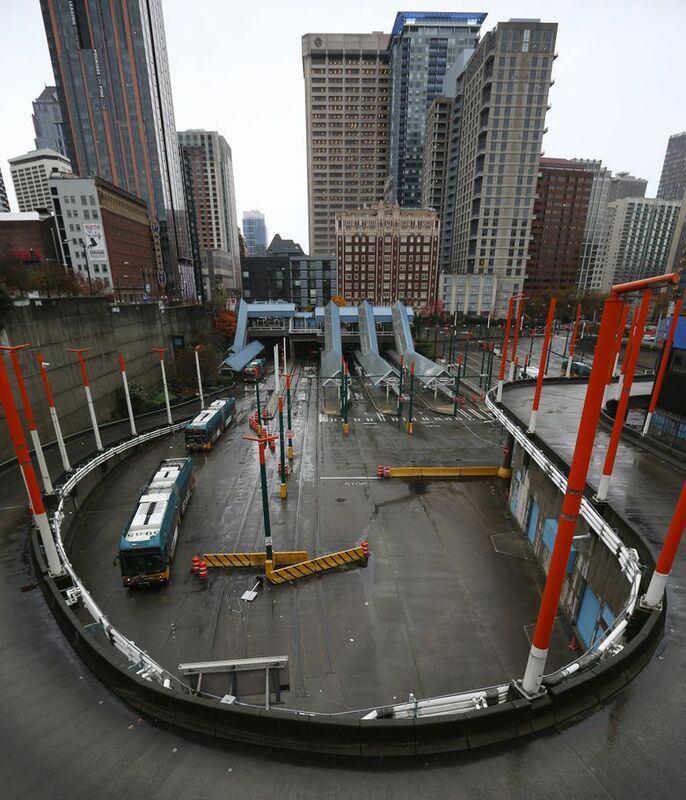 To cope with this and other upcoming projects, such as the Alaskan Way Viaduct demolition and Washington State Ferries terminal replacement, thousands of bus passengers would be dropped off at light-rail stations, switching onto a train to cross downtown. The $161 million, to be paid plus interest over 32 years, will be applied toward future, countywide bus service in the long-term Metro Connects plan, said Deputy County Executive Sung Yang. Buses were going to be ousted from the shared tunnel anyway by mid-2020, to allow more train traffic than the current six-minute frequency. Link light rail will be extended in 2021 to the University District, Roosevelt and Northgate stations. Yang and Matt Griffin, director for the $1.6 billion convention-center project, contend that construction and hospitality-industry jobs, along with $235 million in yearly visitor spending supporters hope to generate, are worth closing the bus station 1½ years early. The county says as many as 6,000 people would work during the peak of a three-year construction schedule. Beyond the $161 million, an additional $5 million would go to an affordable-housing fund, and $4.5 million to public art. County Executive Dow Constantine announced Thursday he has submitted the agreement for hearings, debate and a vote by the Metropolitan King County Council.